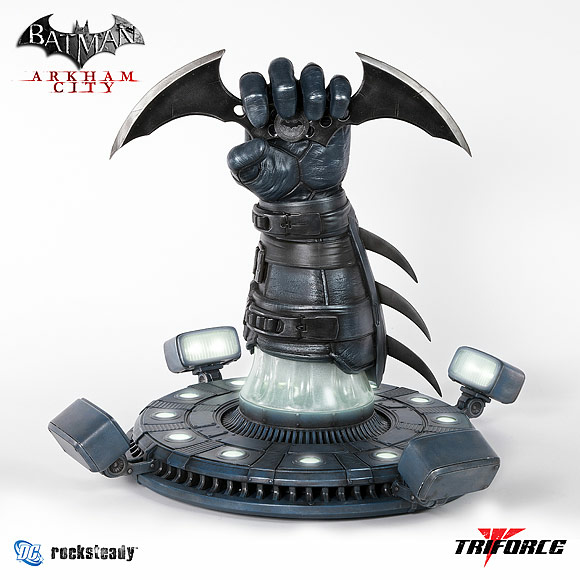 TriForce proudly presents the officially licensed Batman: Arkham City – Pink Catwoman Riddler Trophy Full Scale Replica, masterfully sculpted and painted by the artisans at TriForce. This San Diego Comic Con exclusive will be available for pre-order at the show. 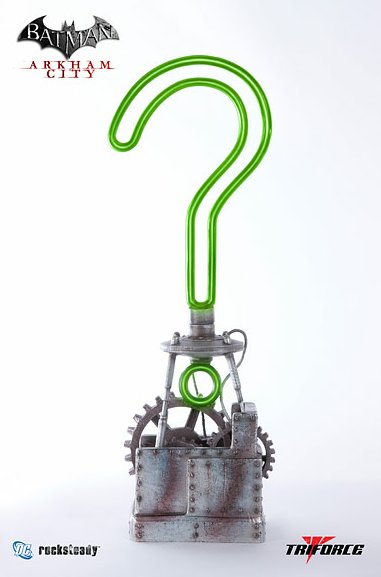 As we know not all of the trophies laid down by the Riddler throughout Arkham City can be collected by the Dark Knight. Some of them were reserved specially for Catwoman and booby trapped to electrocute Batman if he tried to help out his feline ‘friend’. 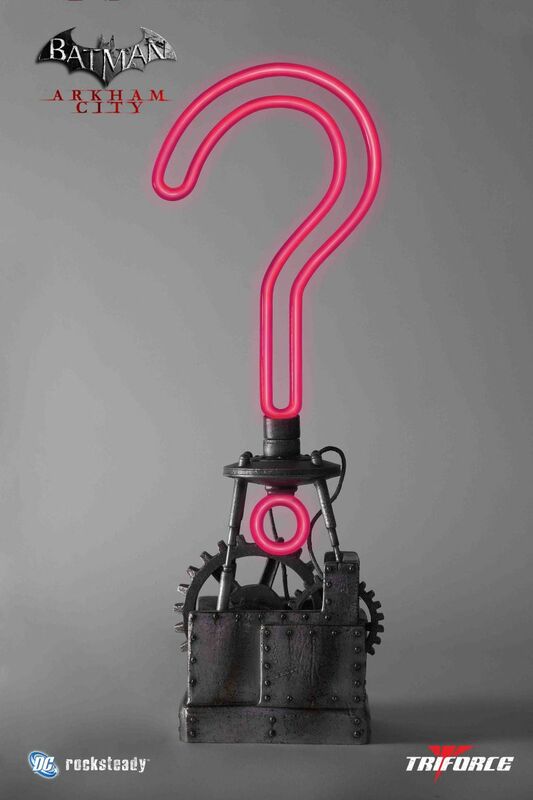 The Pink Catwoman Riddler Trophy Full Scale Replica is hand-finished and hand-painted to precision quality. Intricately crafted and cast in polystone, it measures 19″ in height, weighs in at 8 pounds, and features working LED effects! Own this authentic piece of videogame history for $400 as part of a Limited Edition of 100 pieces available for pre-order only at the TriForce booth 2846 at San Diego Comic Con 2012. The piece will ship by 4th quarter 2012.